For the fourth time in eight years, General Motors is recalling a number of older vehicles because the engine compartment can catch fire when drops of oil overheat. The carmaker announced on Tuesday that it will recall 1.4 million vehicles worldwide over fire risks linked to drops of oil in the cars’ exhaust, the Detroit News reports. The recall covers model year 1997 to 2004 Pontiac Grand Prix; model year 2000 to 2004 Chevrolet Impala; model year 1998 and 1999 Chevrolet Lumina; model year 1998 to 2004 Chevrolet Monte Carlo; model year 1998 and 1999 Oldsmobile Intrigue and model year 1997 to 2004 Buick Regal vehicles with 3.8-liter V6 3800 engines. According to GM, drops of oil may fall on the hot exhaust manifold during hard braking, which can cause engine compartment fires. So far, the company is aware of several post-repair fires that resulted in 19 reported injuries over the last six years. However, no crashes or fatalities have been reported. 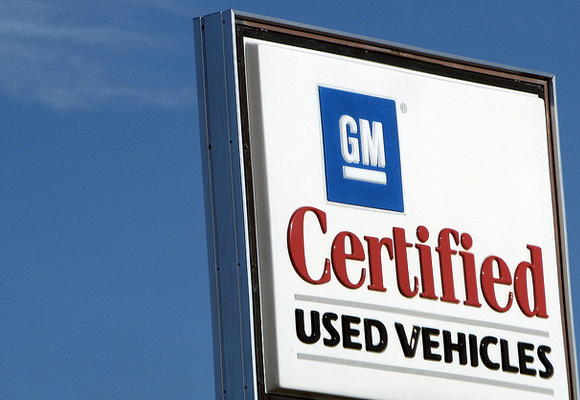 GM previously issued three recalls for the same issue. Those recalls included 1,345 fires. Owners of affected vehicles are cautioned not to park in garages until repairs are made. GM says it is working to develop a remedy for the issue. Tuesday’s recall marks the second this year related to the problem. Back in April, GM recalled just 1,200 model year 2004 Buick Regal, Chevrolet Impala, and Chevrolet Monte Carlo cars for the issue. Prior recalls were announced in 2008 for 207,000 vehicles and in 2009 for 1.5 million vehicles – most of which are included in Tuesday’s recall. The company initiated an investigation into the ongoing fire complaints in model year 2004 vehicles in August 2014. The company determined the issue was related to earlier generation gaskets used in the vehicles. Cars made after 2004 are believed to use sturdier gasket materials, GM said.